If you’re trying to avoid spoilers for patch 6.2 content, then you may want to turn back now — both this post and the Blizzard post we’re linking to discuss what happens in the upcoming chapter of the legendary ring quest. But for those of you who want to know everything you can about upcoming content, here’s what’s up. 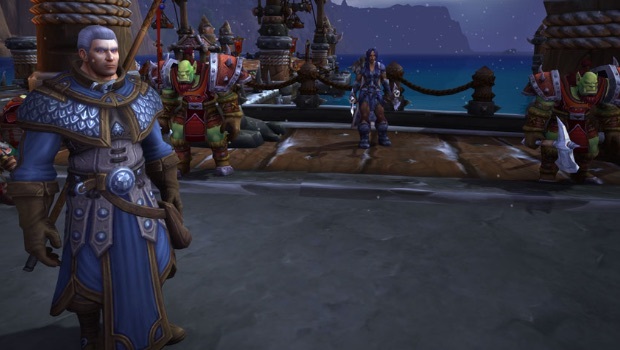 Build a shipyard in your garrison — which, hey, you were going to do anyway, right? Upgrade your shipyard to level 2, which will cost you 1,000 gold, 1,000 apexis crystals, and require you to have completed 15 naval missions. Get a draenic sea chart by completing a set of naval missions. In the requisite grind of the chapter, you’ll need to collect 33 Tomes of Chaos from Hellfire Citadel. Why not 32? Why not 34? We’ve decided it’s just better not to ask questions. You’ll have to burn the tomes, but not everyone agrees that’s the best course of action — you’ll wind up fighting Cordana to progress. You’re almost done! Alliance will talk to Yrel to receive K’ara’s blessing while Horde characters talk to Drek’thar to receive a blessing of the elements. Now you’ll receive an upgraded ring (which starts at ilvl 735), an achievement for Chapter IV, and a shiny new monument for your garrison. Ding and grats! As to how this peculiar ring proc will play out in game, we’ll have to watch to find out.